SAGA Educators, an organization dedicated to improving teaching and learning in Michigan, announced today the launch of their inaugural Michigan New Teacher Conference. This free conference is the first of its kind and unlike any other in the state. The design of the program is for early career and aspiring educators to connect with seasoned educators to share knowledge and network. The conference will be held 8 a.m. to noon May 2 at The Meemic Foundation headquarters in Auburn Hills. 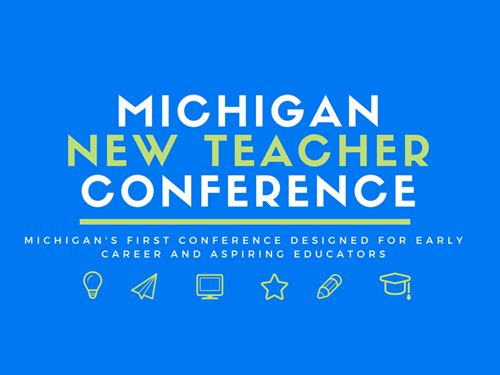 The Michigan New Teacher Conference acts as a free resource for young educators to gather and obtain necessary resources to advance in their careers. The attendees will be a mix of new and experienced educators, and topics will include conversations about teaching, leading and learning. Educators of all levels are welcome, and attendees will leave the conference with strategies, skills and tools that can be utilized the very next day in their classrooms. "This conference has something for educators of every experience level, and we are honored to host it at our facility," said Pamela Harlin, spokesperson for Meemic. "The goal for this innovative conference is to offer support for Michigan's newest teachers by giving them access to insight from accomplished career educators and providing an atmosphere where all attendees can network and learn from one another. Through this effort, the Michigan education community will continue to thrive and we are proud to be connected to an organization like SAGA Educators with that vision." Through their School of Education and Human Services, Oakland University, a world-class academic institution located in Rochester, Michigan, will also provide key financial support for this event. The two founders of SAGA Educators, Andrew Steinman and Gary Abud, Jr., share in The Meemic Foundation's passion for the educational community and the desire to enhance Michigan schools by making high quality professional learning and teacher leadership accessible to Michigan educators. Abud was named the 2014 Michigan Teacher of the Year, and in his time since co-founding SAGA Educators in 2012 has coordinated a statewide STEM teaching program, facilitated courses in the Michigan Modeling Instruction in Chemistry Program for teachers and consulted with more than three dozen schools around Michigan on educational initiatives. Steinman, co-founder of SAGA Educators, is an instructional technology specialist and was recently named Outstanding Technology Using Educator of the Year by MACUL. He has provided face-to-face, blended and online professional learning opportunities across the state of Michigan, and was most recently a keynote speaker for the Troy Public School District. To sign up for the conference, please visit www.sagaeducators.org/mintc.